love the sea and want to explore the Caribbean islands, the Bahamas, the French/Italian Riviera or the Greek islands in complete privacy and away from the crowds, then chartering is for you. 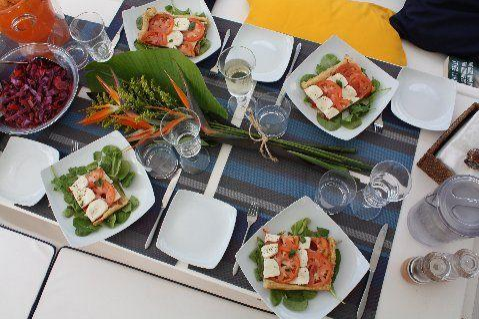 Exploring beautiful places, enjoying fine dining created by your personal chef, experiencing water sports galore and having fun with friends, family and loved ones is what chartering a private yacht is all about! It’s an ideal way to celebrate special occasions such as birthdays, anniversaries, engagements or just being with that special someone. imagine. Leave the cruise ships and pre-set schedules behind and experience absolute freedom to explore the destination of your choice at your own pace. What kind of yacht is ideal for you? 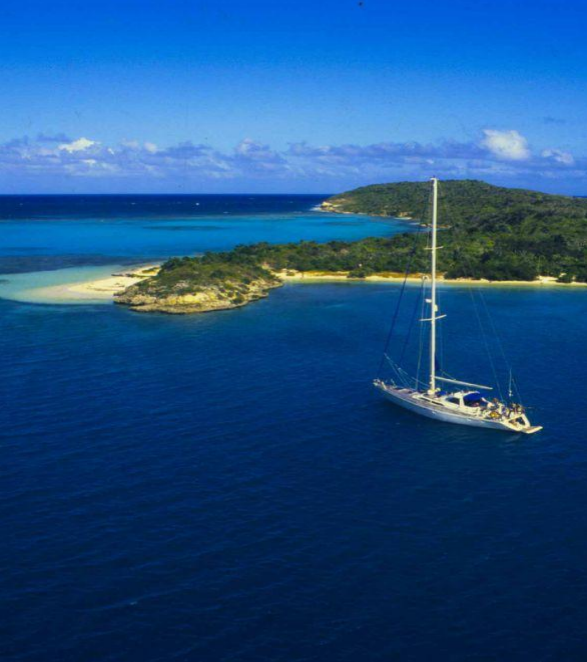 There are three main types of yachts available for charter –power yachts, sailing yachts and catamarans or multihulls. 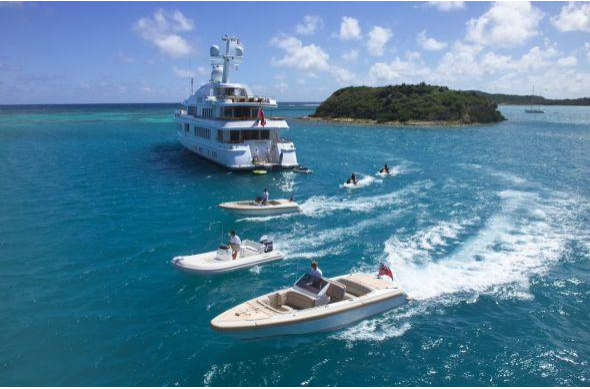 Your charter agent will assist you in choosing the yacht that is best suited to you. Cabin layouts include queen, double or twin beds and all cabins have ensuite bathrooms. There are always shaded dining areas outside as well as sun decks and comfortable lounging areas. 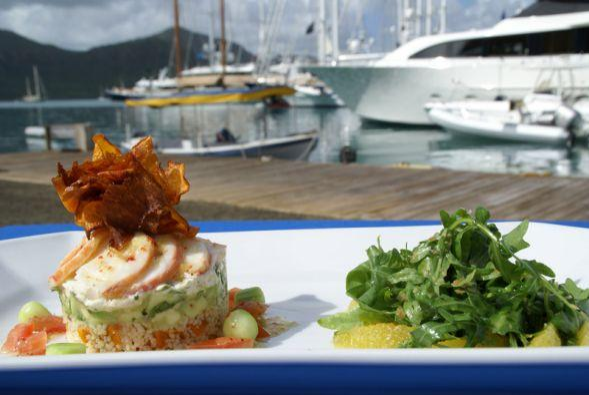 On most charter yachts the crew consists of a Captain, chef, hostess and perhaps a deckhand. Power yachts will probably have an engineer while smaller sailing yachts may only have a Captain and chef/hostess. Whichever combination your yacht has, the crew will work with you to plan your itinerary and act as tour guide, activities coordinator, water sports instructor and naturalist, both above and beneath the water. They will be able to make recommendations and help you achieve whatever it is you want from your vacation. 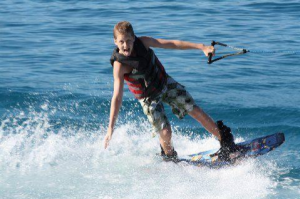 Learning to wakeboard. Photo courtesy of Viking Dream. Lunch prepared specially for you. Photo courtesy of Nicholson Yacht Charters & Services. What would the itinerary for a normal week-long charter look like? After choosing the destination of your choice, the Captain will provide a suggested itinerary and you will be able to discuss the various options and decide what suits you best. Upon arrival, you will be welcomed on board, shown around the yacht and given an opportunity to sit and discuss your itinerary while being served cool and delicious refreshments. A typical day may include a leisurely breakfast on board followed by a morning swim, or perhaps exploring surrounding islands, coves and bays accessible only by the yacht’s dinghy. Soon after you will set sail or motor to your next destination while enjoying the scenery en-route and then settle at a calm anchorage for the remainder of the day. There you can enjoy a leisurely lunch, try snorkelling, kayaking or waterskiing, go for a hike ashore or do some island shopping. Or perhaps you would prefer to do nothing at all except enjoy your favourite read. You can visit seven or more islands in one week or stay in your new favourite spot for as long as you like. All of this and more is possible while on your charter vacation. A simple meal. Photo courtesy of Viking Dream. 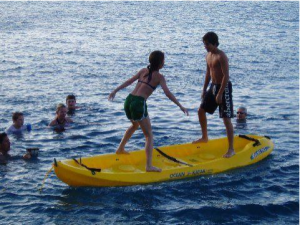 Your crew will know where the safest and calmest anchorages are, the best reefs for snorkeling, the most ideal places for learning to wakeboard or kite surf and the best places from which to watch the sun set while you enjoy a relaxing evening cocktail. If you’re looking for nightlife, they will know where the music is playing and how to get there. And they will arrange transportation for you or go along and keep you company if you prefer. The choices are endless and they’re yours alone! The fleet of toys! Photo courtesy of Nicholson Yacht Charters & Services. chartering a private yacht is the answer. Book the yacht that suits you best and let the crew spoil you while you sit back and enjoy everything you ever wanted in a vacation! Enjoying the water. Photo courtesy of Viking Dream. 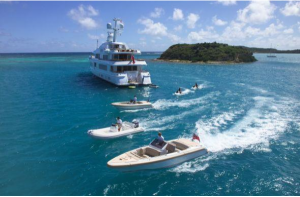 Nicholson Yacht Charters & Services is the oldest and most experienced charter agent in the Caribbean – we know our cruising grounds very well and can help create the holiday of your dreams . . . contact us now to receive information on chartering a private yacht with crew. Its more affordable than you think! Article written by Sarah Sebastian, Nicholson Yacht Charters & Services. Photos courtesy of Nicholson Yacht Charters & Services.